Plants valued for their flavoring, scent or as medicinal remedies are called herbs. 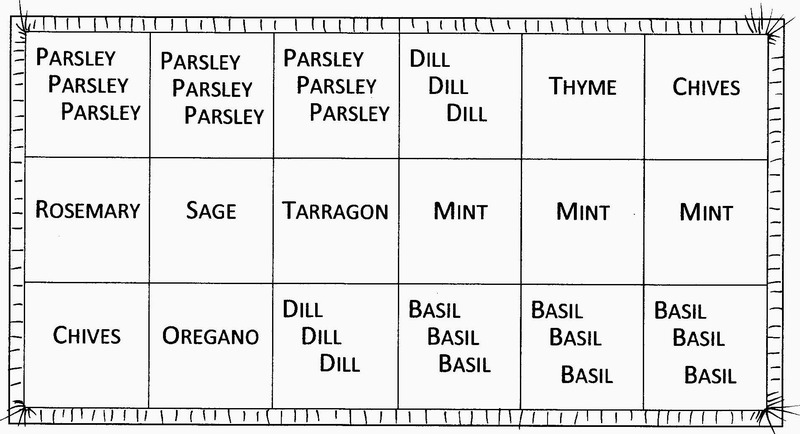 For example, basil, oregano, and fennel are used for Italian cooking; lavender and lemon verbena to make potpourri; or chamomile and mints to make your own teas. Easy to grow, useful herbs are usually pestfree and require minimal watering once established. Grow herbs in containers on a windowsill, plant them in an existing garden or landscape, or create a garden dedicated to herbs. Choose a 3’ X 6’ area with well‐drained soil and plenty of sun for your garden. If it’s near the kitchen or an outside grill – so much the better! Loosen the soil with a spade or garden fork; remove roots and stones larger than fist size. Work 2” – 3” of compost or peat moss, garden fertilizer and limestone (according to directions) into the soil. Select herbs you wish to plant, or start with these basic herbs for a family of four: six parsley plants, one large clump (or two small clumps) of chives, six plants each of basil and dill, one each of sage, oregano, tarragon, thyme and rosemary, and three mint plants, one each of spearmint, peppermint, and lemon or orange mint. If you like cilantro, plant seeds in a space created by planting less of something else. Cilantro matures quickly. Re‐plant in small amounts every two weeks. Plant anytime of day, although early morning or later in the day when it is not hot works well (for you and the plants!). Dig each planting hole a little wider than the roots of the new plant. Plant at the same depth that they were in the container. Water each new transplant with a quart of water. Water with a quart of water each sunny day for the first week. Then, water each plant twice per week with a quart of water. Pick fresh herbs a few sprigs each time you harvest. If you remove more than a third of the plant at one time, it will take longer to recover and to produce new foliage. Herbs are most flavorful when picked before they bloom and in the morning after the dew has dried ‐ but anytime you need them, pick away! Gather a small amount of herbs, leaves and short stems. Wash them gently if you must. Remember, water can wash away valuable oils. Put herbs in small, zippered storage bags. Leave air in as a cushion. Throw into the freezer wherever you find the space.